Color and light have been used for thousands of years for their powerful healing capabilities. Now proven by modern science, this ancient ritual has been clinically proven to treat chronic pain and illness, as well as have significant and direct effects on energy, mood, and vitality. Utilizing this ancient technique, Inner Light brings the latest in light therapy technology and color healing insight to our clients. An invisible band in the spectrum of light, infrared sauna therapy has a unique ability to heat the body at lower temperatures than traditional saunas. The radiant light penetrates deeply and creates healing on a molecular level. Inner Light Wellness features top-of-the-line full-spectrum infrared saunas built with carbon heaters and hypoallergenic basswood that are medical-grade and proven the most effective in the marketplace. Each IR sauna has all three types of infrared light - near, mid and far rays - as well as chromotherapy lights, which use colors to change the frequencies of the body to enhance healing. Research has shown infrared to provide healthy benefits, such as detoxification of heavy metals, enhanced metabolic function, increased collagen production, improved circulation and decreased fatigue. When using our Infrared Saunas, your body perspires and receives all of the healthy benefits while avoiding the harmful and hot air of a traditional steam sauna. By penetrating into your skin deeply, infrared rays dissolve harmful substances your body has accumulated. Infrared therapy is used by holistic and functional medicine doctors to treat serious chronic illnesses including chronic heart conditions, Lyme disease, diabetes, arthritis, dementia and Alzheimers, Crohn's Disease and fibromyalgia. Color in it’s own right has been used for thousands of years for its energy and healing capabilities. Like everything on this planet, every color has a specific energy and emits a unique frequency, or vibration. 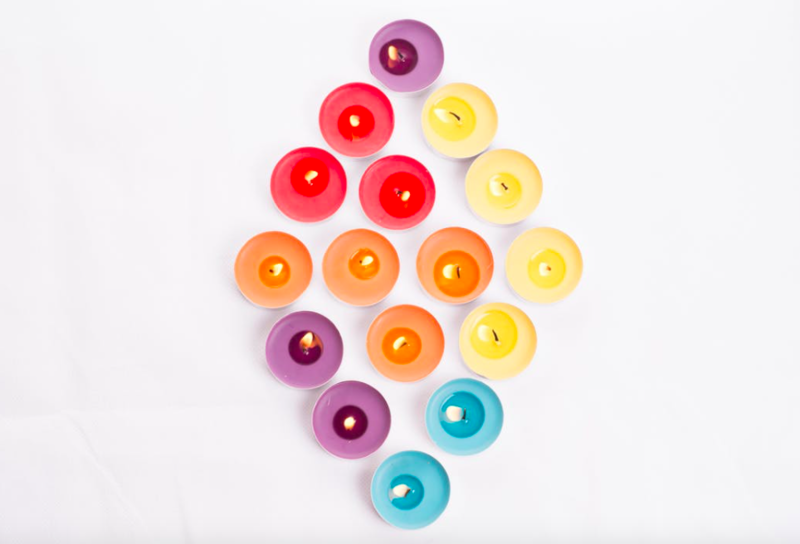 Each color is connected to its own set of physical, emotional, mental and spiritual ailments, lessons, and gifts. By connecting each color with the chakra system, we are able to access a deeper level of insight into the Self, understand personal blockages and the sources of moods and behaviors, and connect with our innate truths. Color therapy is applied in each of our Sunlighten infrared saunas for optimal energy balancing and healing, and is practiced by our founder Kelly, who is a trained practitioner of Colour Mirrors therapy and works in private sessions in The Studio. Color is an ancient method used to help us understand and heal the innate energy within us. Used to identify our own unique healing capabilities, color therapy illuminates why we are the way we are. Each color is associated with the chakra, a main energy system within the body. By using color healing techniques, we are able to identify and resolve energy blockages, traumas, and truly heal from within.